Jose K. Mani member of parliament (MP)profile and biography is given here. Jose K. Mani is a budding politician from the state of Kerala. He is the member secretary of Kerala Congress (Mani) party. His father, K. M. Mani, is responsible for floating this party to help the cause of farmers and plantation workers in the high ranges of Kerala. Currently, he is the member of the 15th Lokh Sabha, representing Kottayam Lokh Sabha Constituency. Jose K. Mani is an upcoming politician from the state of Kerala. He is the son of reputed politician K.M. Mani, the Finance Minister in the incumbent Kerala Government. He is an active member of the Kerala Congress party, which has a strong presence in the central Kerala. He became the Member of Parliament, in the year 2009 representing Kottayam Lokh Sabha Constituency. In that election, he defeated the nearest Left Democratic Front (LDF) nominee Suresh Kurup by a huge margin of votes. Strangely, he was defeated by the LDF nominee P.C. Thomas in the year 2004. Jose K. Mani was born on May 29, 1965 to a Christian farmer family settled in a village hamlet called Pala in the Kottayam district of Central Kerala. His father K.M. Mani is an illustrious politician and a Minister in the current ruling dispensation in the state. He is currently looking after the finance portfolio of the state. His mother's name is Annama Mani. She is a house wife. The young Jose was put in a local school so that he could complete his formal education near his school. After a few years of formal education, his parents enrolled him in a reputed private school by the name Montfort near his place of birth. In that Yercaud-located private school, he studied up to the 10th standard and expanded his knowledge horizon. During those formative years, he was an astute learner and observer of things that happen around him. The quality of teaching, the serenity of the environment and the assistance of knowledgeable faculty helped him to flourish as an ideal citizen of the country. From this private school, he imbibed the qualities such as humility, good mannerisms, practical knowledge and honesty. These imbibed traits helped him to stand in good stead when he entered into public service, following the footsteps of his illustrious father. Since he was concentrating on the topics discussed in the classes, he was able to remain current with those topics. This helped him to get good marks and grades in the SSLC examinations. Jose K. Mani drew more confidence from his marks and grades for his performance in SSLC examination and joined a reputed junior college in Kottayam town to pursue his pre-degree course. At this point in time, he started showing some interest in the kind of politics played by his father. However, he did not plunge into it immediately and waited for an opportune time. Instead, he continued to focus on his studies to get the knowledge updated. Because of the single-point dedication showed by him, he was able to get good marks and grades for his pre-degree examinations as well. In junior college days, he happened to hear about the Loyola College located in Chennai and the quality of education imparted there. Hence, he decided to move to the Chennai city to join a course of choice in Loyola College. The course chosen by him for his degree was Commerce. His education at Loyola College made a sea of change in his outlook towards life. After spending quality time in updating key management skills at Loyola College, he graduated out of the course with flying colors. After the degree course, he started searching for the career-oriented course that aligned well with this chosen area of specialization at the degree level. The search for the correct professional course took him to the MBA course offered at P.S.G. College of Engineering and Technology, Coimbatore, Tamil Nadu. Since he was good at studies and freely sociable with the people, he was able to land in a job through the College. In a short span of time in service, he hopped from one job to another and tried to get a gist of what is happening in different industries. He worked in both private and public sector enterprises at senior levels. After several years of occupation with the public service, he found time to marry Nisha Jose. After getting the blessing and consent from the parents, he married Nisha Jose at a local Church in Pala on February 6, 1994. The marriage was a splendid affair. The marriage and the subsequent party welcoming the newly married couple were marked by the attendance of dignitaries and the influential people from the society. The couple is blessed with one son and two daughters. After working with different companies, Jose K. Mani decided to plunge into the public service, drawing inspirations from his father's work for the farmers of the central Kerala. As soon as he dedicated himself to the public service of the country, he took upon himself the mantle of running a youth association by the name Vikasana Sena. Under his guidance, the youth organization drew up a proposal to cooperate with the Rotary Club Centre for Mentally Retarded Children and tried to replenish its resources to help the center to work efficiently for the cause of these less fortunate children. He was also the President of Kerala Youth Front for several years. Under his rule, the youth front worked on many projects that helped the local youths to come out of the oblivion and participate in the society with renewed vigor. He is also the Chairman of Centre for Reform and Research, youth empowerment society, in central Kerala. Jose K. Mani is of the opinion that the living standards of the youth in the society need to be uplifted to ensure the development of the society. He further believes that the revived and well equipped youth can act as the agents of the change in the society. That is the reason why the youth organizations working under him started to concentrate on the all around development of the youth in his constituency. To further the cause of raising the awareness for youth development, Jose mobilized one of the largest gatherings of youth in the history of Kerala. As the President of Kerala Youth Front, this gathering was organized by him under the banner of Vikasana Sandesha Yathra to channelize the energy of the youths towards the development process for the well being of the society. After having undertaken the development activities for the youth, the senior members of Kerala Congress (Mani) group, including his father, took cognizance of the good work done by him for the society and inducted him as its member. The empowered and acknowledged Jose K. Mani decided to vigorously work for the farmers of the central Kerala who have acres of rubber plantations and other cash crops planted in the high range regions of Ernakulam, Kottayam and Pathanamthitta districts. He also wanted to continue his good work of empowering the youths of the state for a better tomorrow. 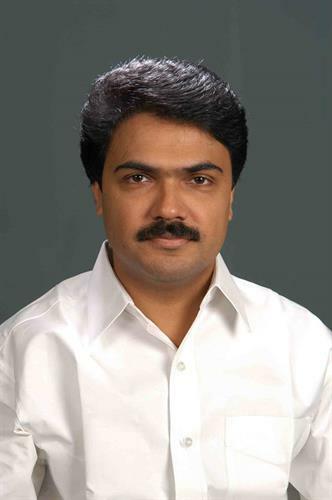 Jose K. Mani became the Member of Parliament for the first time in the year 2009. In that year, young Jose was pitted against a veteran Communist Party of India (Marxist) candidate Suresh Kurup in Kottayam Constituency. In the tri-cornered and well-fought contest, Jose K. Mani emerged victorious, defeating the nearest CPI (M) rival Suresh Kurup by a huge margin of 70,000 votes. He is considered as one of the young parliamentarians who have taken their business seriously. He repeatedly raised issues concerning the youth and members of his constituency in the parliament and got some of them approved by the House of Commons. After his election, he was selected as the leader of Kerala Congress (Mani) Parliamentary Party in Lokh Sabha. As its leader, he coordinated well with other members of the party in the Lokh Sabha to raise questions about various topics concerning the people from the central Kerala. He was also made the member of a Committee on Transport, Tourism and Culture. As a committee member, he suggested novel methods to improve the tourist count by showcasing the culture and improving the road infrastructure to different tourist spots in the country. During the leisure time, Jose K. Mani loves to travel or listens to instrumental music. He has the copies of several instrumental musicians at his house. He loves to hear both western and Indian style of instrumental music. The other past time activity he loves to participate in is the sport. Being a sport enthusiast, he loves Snorkeling and Table Tennis. He has memberships in Tennis Club, Trivandrum Club, and River Valley Club. Often he visits these clubs to play Table Tennis with his friends whenever he is in town. He is also a member of YMCA International and Rotary Club of Pala. Jose K. Mani is an upcoming Politician from the state of Kerala. He is currently the Member of Parliament, representing Kottayam Lokh Sabha Constituency in Kerala. He is a member of Kerala Congress (Mani) party that is stronger in the hill districts of Kerala such as Kottayam, Pathanamthitta, and Ernakulam. In the year 2009, he became the Member of Parliament by defeating the nearest CPI (M) rival by a huge margin of 70,000 votes. Before entering into the active politics, he was working with several public and private sector organizations in the senior capacity. He plunged into the active politics of the state by organizing various initiatives that aim at the empowerment of the youth. He is of the firm opinion that the empowered and confident youth can act as agents of change in the society. He organized a "Patha Yathra" to bring the youth of the state to one platform so that they can be made aware of their power.